This post is sponsored by Kohl's. Regardless of free product or compensation, all opinions are my own, as they always are in posts that are sponsored in some way. Have you heard it yet? It's playing all over the place now. I'm talking about Christmas music. "Jingle bells, jingle bells..." and various versions of it. I've been hearing it for a few weeks now. Like, before the Halloween stuff went on sale. Ready or not, the Holidays are here. And all that stress about Holiday weight gain and "falling off the wagon" and, well...you know. But there's still time for you to jump ahead of all that. You've got enough to think about at this time of year: Gifts, parties, meals and more. Think about your health right now, first and foremost. 1) Beat the resolutioners and join a gym right now. Sure, there might be more membership discounts in January, but do yourself a favor and jump start your fitness journey right now. Because when it comes to exercise, there's no better time than now to begin. And if you can get yourself into a comfortable routine before all the parties (and apps, drinks and desserts) come crashing down on you, you'll be one step ahead of the potential for weight gain. 2) Find a new at-home workout, or try a new group fitness class. Note #1: Please speak with your physician before trying this workout if you have any concerns whatsoever. I am an ACE-certified personal trainer and build my workouts accordingly, but I don't know what your medical history is and cannot, therefore, say with certainty that this particular workout is right for you. 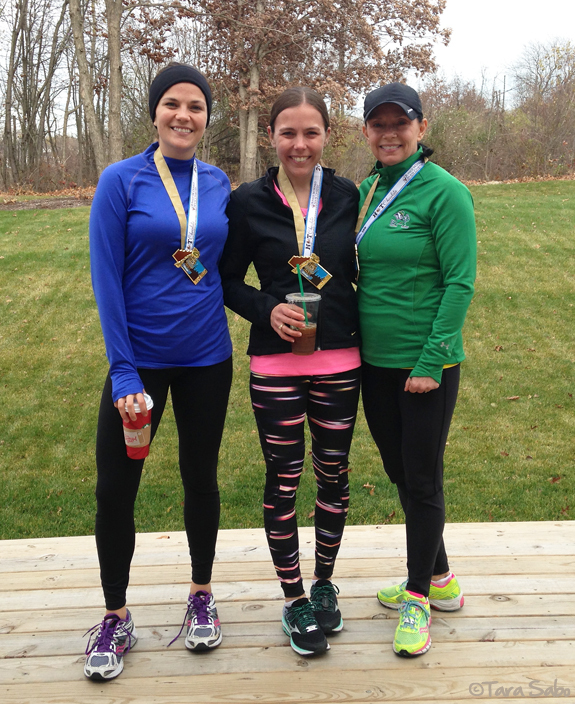 3) Sign up for a Winter fitness event with friends and/or family. 4) Mentally accept that which is the Holiday season (and eat the damn cookie). Physical and mental health go hand-in-hand, so it's equally important to address your mental health at this time of year. It's the "most wonderful time of the year," but it's also the most stressful because you just gotta get that shopping done, right? And who's coming over for Thanksgiving? Where is Christmas this year? How many of those cookies did you just eat? And now it's time for that second Christmas dinner? Explosion. You can't handle it all. But really, you can. You just have to accept that this time of year is crazy and go forth. Enjoy it because (whether or not you wish to admit it), you've been looking forward to it. And the cookies. Oh, the Christmas cookies. 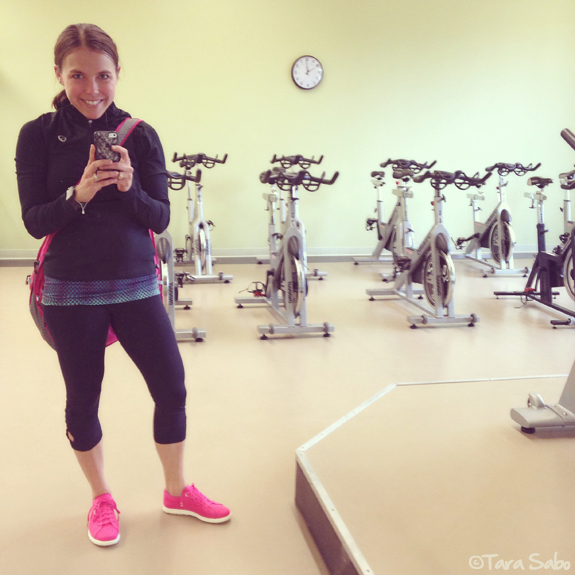 5) Treat yourself to new fitness gear. You're buying presents for everyone else, right? So why not treat yourself a bit early to some new fitness gear? It might be clothing, it might be that treadmill you've been saving up for. Splurge on yourself because you deserve it. You deserve the extra motivation, and you probably need it. Just like the workout program or new piece of exercise equipment, you wouldn't let a new pair of running shoes or a sleek new tank sit in a drawer, would you? Bottom line, it's the Holiday season. It comes every year and you know exactly what it's going to be like. So this year, I challenge you to focus a little bit more on yourself. Because if you take care of yourself first and foremost...seriously, you have to make time for this...you'll be in a much better position to handle that which is the glorious chaos of Thanksgiving, Christmas and New Year's Eve (or whatever holidays you celebrate). You deserve a little extra attention, it's not a selfish thing. Its called health. And good health brings great happiness. 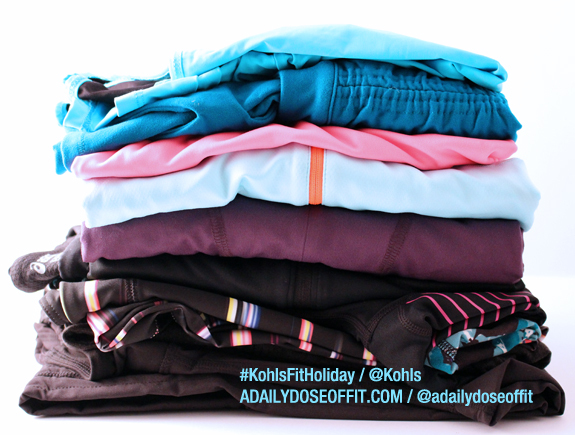 Note #3: When Kohl's reached out to me for help promoting good health over the Holidays, I jumped at the chance because Kohl's is one of my very favorite places to shop for activewear. Seriously, if you haven't discovered that which is the Kohl's activewear department, you really need to start the car up right now. They carry a TON of brands in-store and online, and their prices are totally affordable. You know Kohl's, everything is always on sale (or so it seems). Most of the clothing you see on me above is from Kohl's. 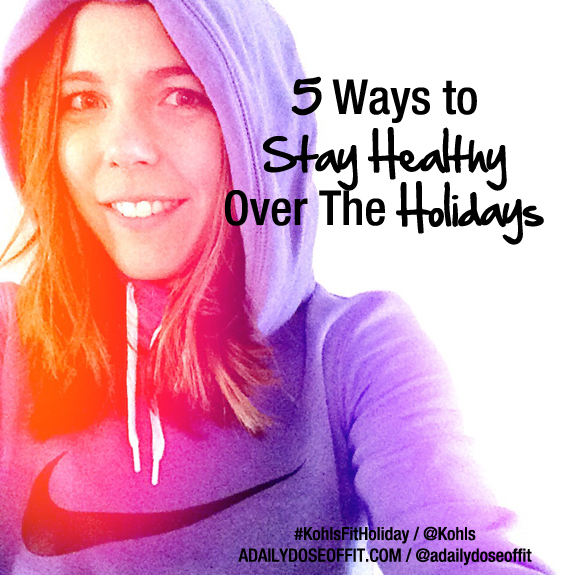 Question: How do you stay healthy over the holidays? I love your running tights! I also love your sister's (I'm making an assumption that she's your sister), do you know what brand they are too? I need to get some running tights, but tend to rely a lot on reviews from other people. those champion tights are amazing! my holiday is spent on the beach, so lots of staying active and being outside.